If you always find yourself under the trees, under the water, and under the bushes in the rough, it may not be you, but your golf ball. 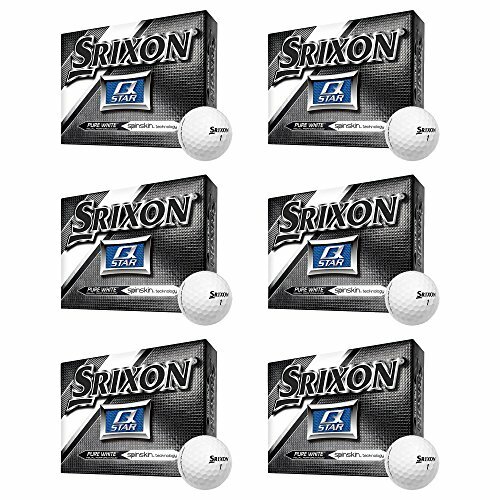 Start getting one under par on every hole when you use these Srixon Q-Star Spin Skin All-Ability White Golf Balls. Your hole-in-one future looks a whole lot brighter with these golf balls in your bag. As all-ability golf balls, you'll notice a combination of distance, accuracy, greenside spin, and durability during every round. Be a hot shot when you hit the links and get the tour spin you've been looking for with these Srixon Q-Star All-Ability Golf Balls.